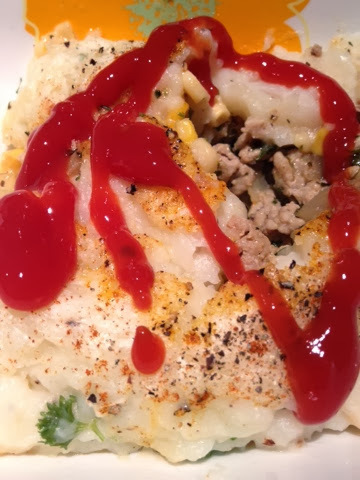 Dinner: Turkey Meat, Potatoes, Corn & Ketchup! 1. 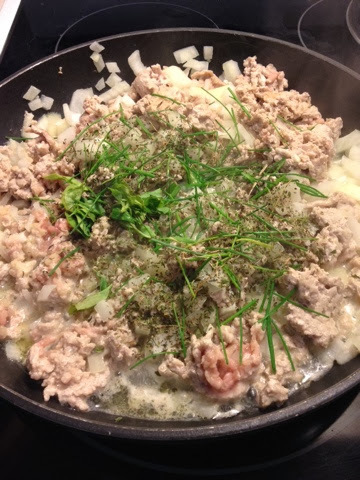 Cook one package of ground turkey meat in a pan (approximately 1.5 lbs) with 1 chopped, white onion, garlic and any spices of your choice. 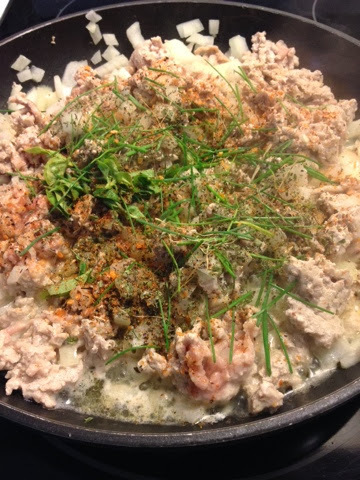 (We added fresh chives and parsley). 2. Cook in a pan on medium heat for about 10 mins. 3. 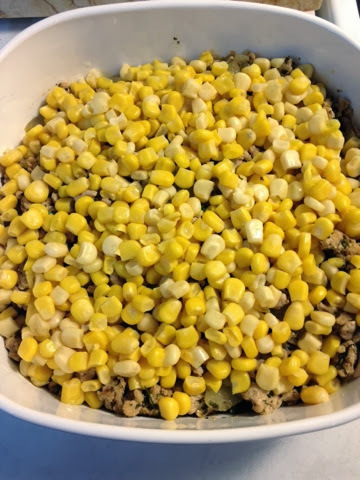 Place the meat mixture in a oven-safe dish and add a layer of kernel corn. We used approximately 1 can. 4. Peel and boil 5 medium potatoes until they soften (at least 20 mins). 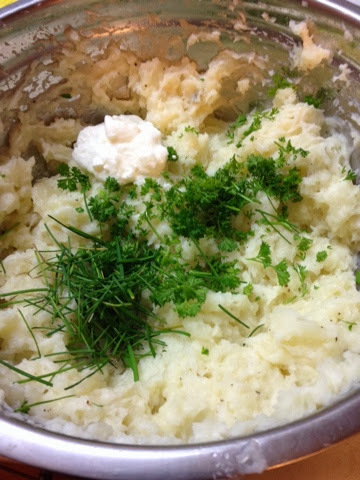 Mash them in a bowl with 1/3 cup of low fat sour cream and fresh spices. Form the final layer on top of the corn and bake at 350 degrees for 30 mins. 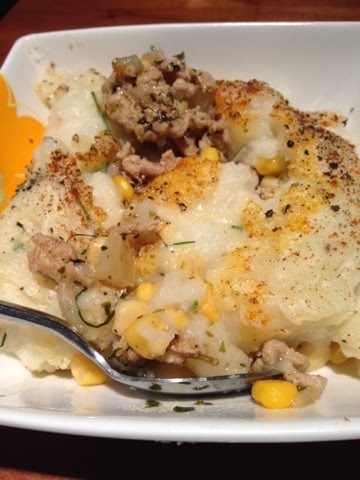 Can add 2 tsp of margarine on top of the potatoes if desired. I've been waiting to share this recipe with you guys for quite some time! Thanks for being patient through midterm season and I hope you like this new, simple recipe that we made a few weeks ago. Let me know what you think!